In the ruins of post-WWII Poland, pianist Wiktor (Tomasz Kot) is commissioned by the Soviet state to form a musical ensemble to help rekindle national pride. Whilst touring the villages in search of talent he meets the beautiful Zula (Joanna Kulig, in a luminous star-making turn), a fiery and charismatic singer with a past, and the two fall passionately in love. When a performance in Berlin offers the pair an opportunity for escape to the West, a last-minute decision finds them stranded on either side of the Iron Curtain. As the years march on, Wiktor and Zula whether through political circumstance or personal impetuosity struggle to find their moment in time... Spanning 15 years across Warsaw, Berlin, Paris and Yugoslavia, and inspired by the lives of the directors own parents, COLD WAR meticulously recreates the era with virtuosic black-and-white cinematography, and an extraordinary soundtrack that is used judiciously to signify the passage of time and shifting relationships. 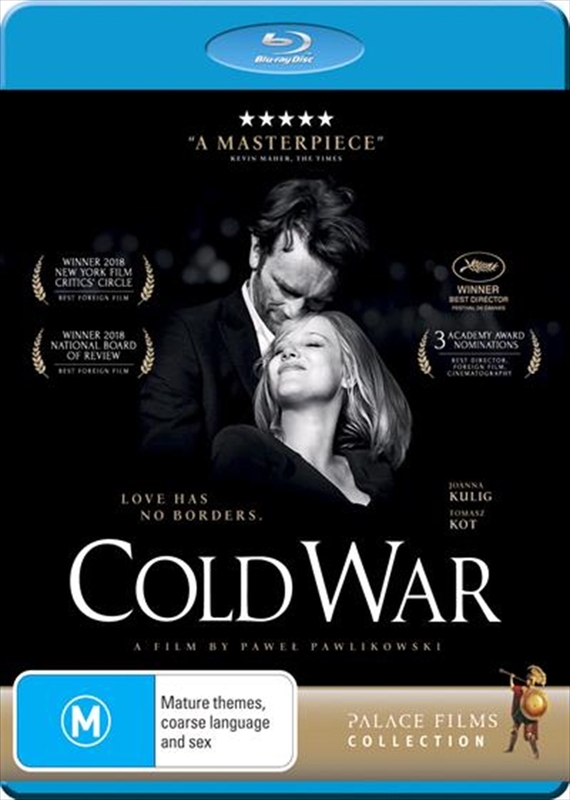 Warmly lyrical, impossibly romantic and visually stunning, COLD WAR is one of the films of the year.